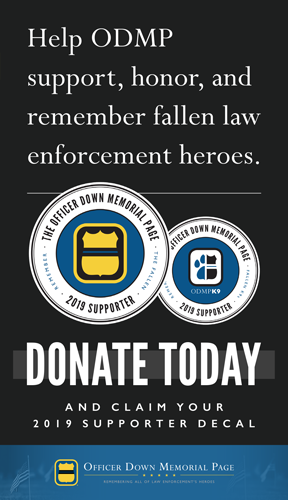 The 2019 ODMP Supporter decal is 4-inches in diameter with a white background: Perfect for proudly displaying your support on your car or business window. Supporters who make a single donation of $500+ also receive a special gift. Donations to ODMP are tax-deductible. 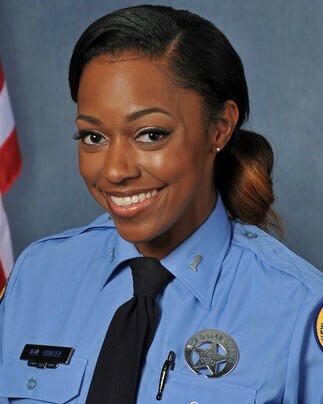 The Officer Down Memorial Page (Tax ID: 54-2002597) is a 501(c)(3) nonprofit organization. We rely on the financial support of visitors.